The city: a living, breathing organism. Constantly in a state of flux, it never stops moving. Luckily, BMW scooters are more than a match for this particular challenge. Combining dynamic performance, comfort and control, they dash through the urban jungle, and are perfect for travelling to work, popping out to meet friends or heading off for a day in the country. Riders can move swifter than ever before, cutting journey times while replacing stresses and strains with flexibility and fun. Tomorrow is not a compromise. 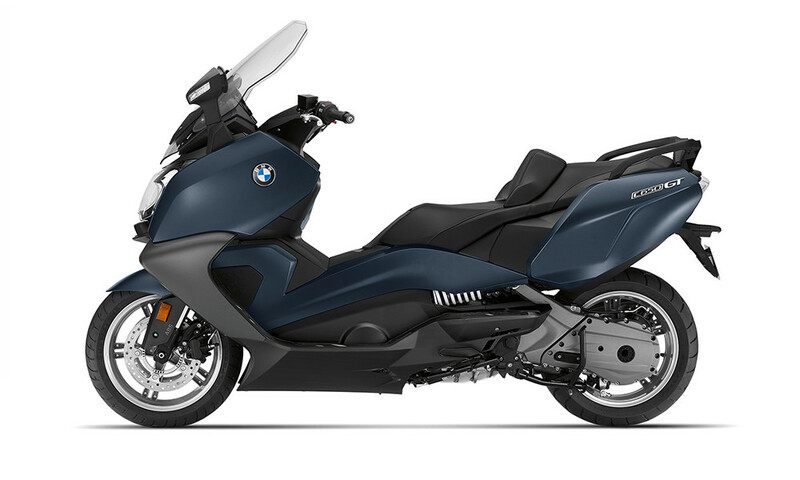 Now you can already experience tomorrow’s urban mobility with the BMW C evolution. Without compromise, the electrically powered scooter combines sustainability and dynamic agility with a design that catches everyone’s eye. 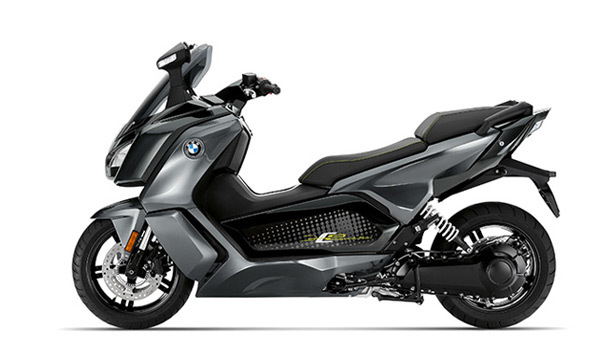 The powerful, completely electrical engine guarantees fast arrival and real riding pleasure. And – thanks to a range of up to 100 miles – it’s a pleasure for the whole day. With the C 400 X, your city and routes become a large open space. An open space of your own that you can map out for yourself to have lots of fun. More torque every day. 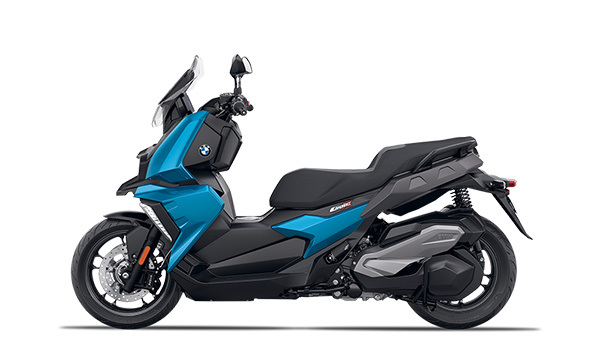 The 650 cc scooter’s effortless handling and sporty performance ensure an unparalleled riding sensation. The in-line two-cylinder engine delivers an impressive 63 Nm and 44 kW (60 hp) and with a maximum speed of 110 mph it will get you to your destination in no time at all. Taking corners and weaving through heavy city traffic is now even easier with the optimised, agile chassis and suspension. Plus, the new stainless-steel exhaust system not only creates a more attractive appearance, but it also generates an even more impressive sound. Travel effortlessly through the urban jungle. 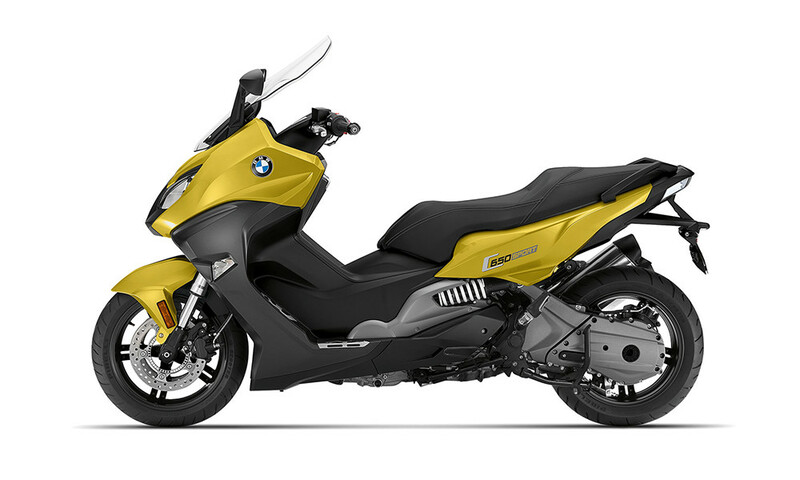 The C 650 GT is the most exclusive and innovative maxi scooter from BMW Motorrad. Fully-fledged ASC now comes as standard in addition to ABS. It enhances safety when road conditions are unpredictable through active intervention in the engine management system. The daytime running lights also automatically adjust to the ambient lighting conditions. An innovative safety feature is the optional (SVA) Side View Assist. This is particularly useful in an urban environment as it warns of vehicles approaching in your blind spot at speeds of up to 80 km/h. The C 400 X gives you this opportunity. Are you networked and connected at all times? The C 400 X is too. It's a mid-size scooter that easily overcomes any challenge of mobility in a city. Just take your favourite songs with you on the scooter and experience the city to your own personal soundtrack. Or make plans with friends on your connected smartphone without dismounting while you cruise comfortably through the metropolis. With the C 400 X, your city and routes become a large open space. An open space of your own that you can map out for yourself to have lots of fun. Interested in Urban Mobility Bikes?